"Does anybody know who Yahya Sumatar is?" Back in 2015, Yahya Samatar, a 35-year-old Somalian man who fought for democracy back in his home country, swam through the Red River from North Dakota to Winnipeg. Being a human rights worker back in Somalia, Yahya was captured and tortured by Al-Shabaab, the same militant group that murdered his brother. After paying the ransom, he fled to America, leaving his family behind in August 2014. When he got to America, he was denied refugee status and sent to a detention centre for six months. Walking all the way to the Canadian border in North Dakota, he gazed off into the distance, Manitoba. Now that you know the story right up until he swam across the Red River, here’s the catch. According to the Canada—United States Safe Third Country Agreement, people should apply for asylum and refugee status in the first country of their arrival. If they have already applied as a refugee in the U.S. before showing up at a border port in Canada, and have no blood relatives there, they are turned away. But if a person crosses into Canada somewhere else and then applies as a refugee, the case is heard in court. Well, America denied refugee status for Yahya, and Canada seemed like the best second choice. Sensibly afraid of persecution, he took a leap of faith and swam. After being welcomed by hospitable Manitobans, Yahya’s case was heard in the Canadian system. The case was indomitable, according to Shauna Labman '95, who teaches immigration and refugee law at University of Manitoba's Robson Hall. 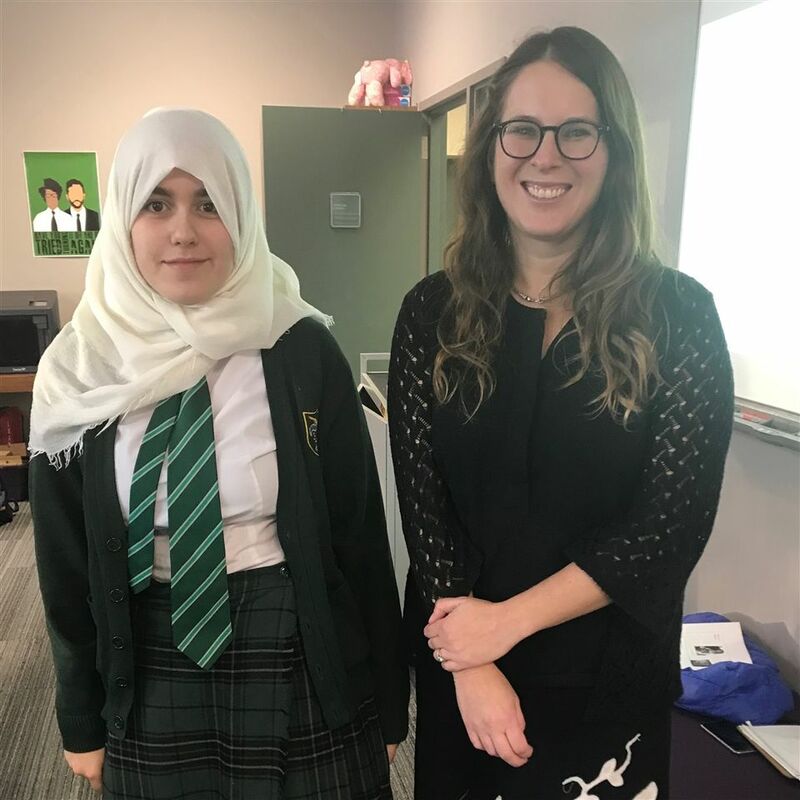 Dr. Labman, an alumna of Balmoral Hall School, spoke with Grade 8 students last month. Three years after that successful case, Yahya is now a full-fledged refugee with a job and a roof over his head in Winnipeg. As for Dr. Labman, her doctoral project at University of British Columbia examined international rights, responsibility, and obligation in the absence of a legal scheme for refugee resettlement. Although Dr. Labman never told us anything about being resilient, specifically, she and Yahya are living proof that even if you miss the moon, you'll land amongst the stars.